The first ever Explorer was unveiled in 1990 and since then it has seen five generations and to be mentioned, Ford commendably managed to bring new changes with the every release. 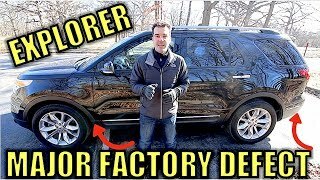 However for the Ford Explorer XLT 2015 we won’t say it’s entirely redesigned but yes there are some standard features that will take the gleam. 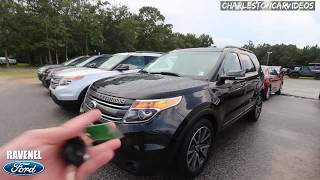 Let us have a look at the review of Ford Explorer XLT 2015 to learn more. Interior of Ford Explorer XLT 2015 is elegant and classy, especially with its smooth surfaces. Stealing your attention the first thing inside it are leather trimmed, heated front seats with contrast stitching. Sitting over these comfortable and luxurious seats you’ll notice floor mats that now feature special badging over them. Making more in the cabin is the elegantly finished dashboard. Everything looks rightly placed over it, including the center console which comes loaded with MyFord Touch. This latest generation SYNC system features Wi-Fi, HD Radio and voice activated navigation. The rear passengers also get comfortable space through adjustable seats and have enough of leg room to sit relaxed even at long drives. 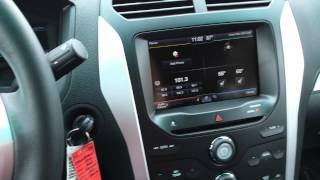 Inside the Ford Explorer XLT 2015 you’ll have four, 12V powerpoints to charge your devices. 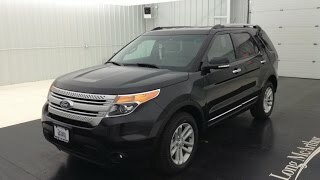 The exterior of Ford Explorer XLT 2015 carries more or less same look as that in the predecessors. Starting with the front fascia the three-bar grille looks just like the way it used to previously while the trapezoidal air intake beneath it carries the same trend as well. This setup at its top end carries wide elongated LED lights while the bottom remains reserved for fog lamps. Moving to the rear scene remains almost same. However along the side you’ll notice the black exterior door handles beneath black mirrors integrated with blind spot monitoring. So is the case with roof side rails which come in black end caps. Reaching the back end of Ford Explorer XLT 2015 you have LED taillamps and twin –chrome exhaust tips beneath the black sportive bumper. Well rounding up the entire details we would say, though it’s same but the minute inclusions made this a remarkable piece to drive. 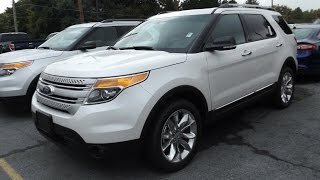 Ford Explorer XLT 2015 offers you two drivetrain options; first is a 3.5 Liter Ti-VCT V6 engine generating total output of 290 hp and peak torque of 346 nm. While second one is a 2.0 liter EcoBoost engine cranking total output of 240 hp and peak torque of 366 nm. Both these engines mate to six-speed automatic transmission.